Ah yes the creme de la creme of financial management or mismanagement. A lot of us have been marketed bank owned properties with supposedly exceptional discounts. We call these foreclosed properties as “distressed” for a reason though. If you are a buyer who is looking to find a good bargain and are considering purchasing a distressed home then it is important to keep a checklist with you on “what to do” when buying such a property. It is vital to know what to think about when buying a bank owned property! This is not to say that there are too many negatives attached with bank owned property, just that conditions and terms are a tad trickier which force you to be a bit more careful about this kind of purchase. History indicates that a lot of said purchases actually come with good payment terms and salient features because even banks do not necessarily enjoy foreclosed properties. The key thing to note however starts with the inspection of the property because that is where you can get hit the most. When inspecting a bank owned property, you need to be extra diligent in doing so. I used the word “distressed” for a reason, as foreclosed owners usually struggle financially. Repairs and timely maintenance are not in effect which is why the home can have a lot of hidden defects. It is absolutely imperative that you hire a trusted home inspector who has experience with properties that have a high level of work needed. When purchasing a bank owned home the chances increase dramatically that an average inspector may miss some defects that are hard to detect like an issue with the furnace or problems with ice dams. Note: you might get easy discounts on paper but these discounts can easily be swallowed up by repair or maintenance costs on the property. If you are not sure about the costs when you inspect, do not go for the home. Typically speaking, liens are supposed to be cleared along with a clear title to the property. Let me be clear, this is not always the case so it is important to do your due diligence on this issue when purchasing a bank owner home. You may even want to hire an attorney who does a title search for you before signing a binding contract. It’s always beneficial to do the search on the title of a bank owned property. From a buyers standpoint you don’t want to be caught having to pay for another persons problems, financial or otherwise. In fact let us now talk about the “negotiating” bit. The final piece of the puzzle is essentially putting the deal together. A lot of investors I have seen (particularly those buying for the first time) are very timid in asking for reasonable purchase terms because it is bank owned. Remember, the bank has incurred a loss on the foreclosed property by not having its loan paid in full so they could be anxious to get the property sold. It’s not uncommon to negotiate better terms than you might not otherwise get on a non bank owned home. At first instance it may sound completely bizarre to be compelled to purchase a home as is but that is the way it works with bank owned properties. If you are buying a home at auction before the lender actually takes possession of the property you may not be allowed to see the inside of the home. You may even find that the current owners are still occupying the property. This kind of situation can be really tricky because there is no way of really knowing what the exact condition of the home happens to be. You may even find yourself with a major problem of getting the current owners to leave if you are the winning bidder. These are definitely things you want to consider when purchasing a bank owned property. There are actually different types of foreclosures. It is important to understand all of them! To tackle the asset manager tactfully and prudently it is important that you do not let them gauge your lack of experience (if that is the case), in fact it’s prudent to strategically portray yourself as an experienced Real Estate investor to increase your offers consideration. Bank owners prefer professional people to avoid any pitfalls and ensure that the transaction is carried out smoothly and without any misgivings. The asset manager is probably not going to educate you on formulating an effective offer or provide any form of support in carrying out the transaction. Try to gain some tips and insight on how to look come out as professional and speak to them with confidence that expresses you aren’t inexperienced. Your objective should be to carry out a successful transaction. You may want to get some low-cost business cards printed to help you in this. When buying a bank-owned property you need to display terms and conditions that the bank will find most attractive. One way of showing this sort of serious commitment is to agree to an exceptionally brief closing time frame. This will convince the asset manager of the fact you are serious about the property and are trying to make it more attractive to get off the banks books. The shorter the time period – 30 days or less will make your offer look that much better. However, you should keep in mind that before making a commitment on a strict time frame ensure that you have your money read on you because you will need to make a generous money deposit to secure the deal. Another thing a bank would like to see if your ability to purchase with cash rather than getting a mortgage. Procuring a mortgage is one more step that keeps the transaction uncertain for the bank. This my friends are some of the considerations to think about when purchasing a bank owned property. Also be sure to check out more tips on what not to do when buying a home. The advice you find here has been put together by reaching out to real estate experts from all around the country. How to settle student loan debt before buying a home via Student Debt Relief. Tips for making the home buying process easier via Credit Sesame. 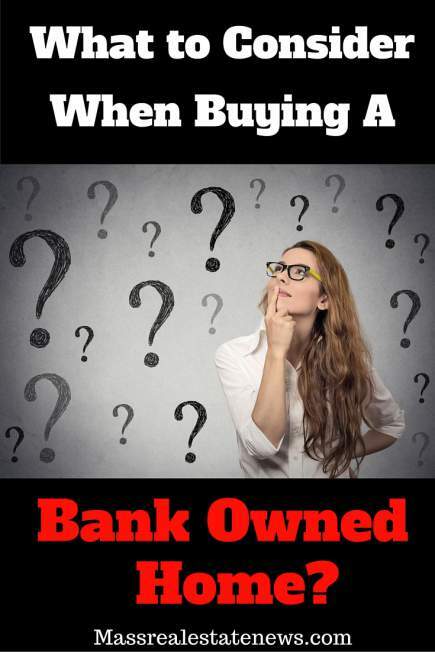 Bank owned and short sale myths via Teresa Cowart. What to look at when buying a home via Paul Sian. Tips for first time home buyers from multiple real estate experts via Coastal Real Estate Group. Use these additional helpful resources to make smart home buying decisions whether it is a bank owned property or a traditional sale. By following the advice laid out in the resources you will become a much more education home buyer! 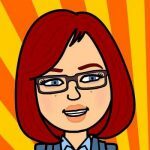 Bio: Rachael Everly is an undergraduate student who loves to write on the topics related business, finance and education. Follow @Rachael Everly for further updates.